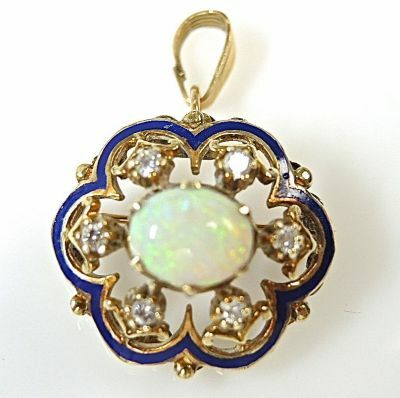 A beautiful antique 14 kt yellow gold and blue enamel floral brooch that can also be worn as a pendant featuring 1 cabochon opal, est. 1.79ct and 6 round briliant cut diamonds, est. 0.30ct (SI clarity: G-H colour).